This young MULTIPLE CHAMPION (6x IN THE LARGEST Suri shows) carries the strength of Lock structure from Macgyver and the LUSTER and HANDLE (both Scored 4.5) of Suzette (the BARON line). His potential is unlimited and his 2nd place competitive appearance in the Futurity proves quality genetics PAYS! for this proven young Herdsire with a famous pedigree. We are very excited to introduce Santana who we believe will be our next great Herdsire. 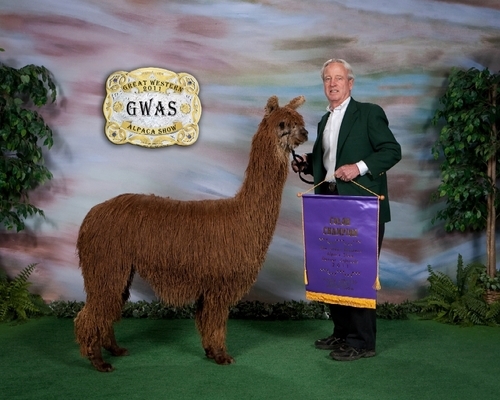 In 9 shows he has had 8 First places, 4 Reserve Championships, and 5 Championships. Champion or Reserve in every show he entered. Santana has incredible luster and density with thick ropey locks tightly twisted to the skin. Every judge that has seen him has commented on how consistent he is. And many of his wins have been in very large Suri shows. Ebony & Ivory is an outstanding pattern male with strong color genetics. 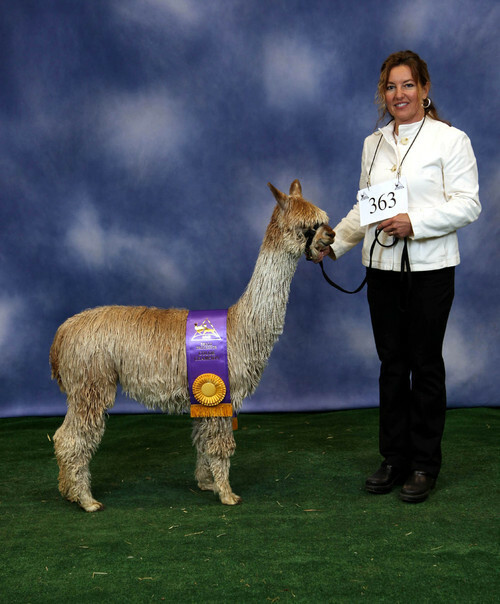 His sire is the famous multi-champion Santana is Hotazel and his dam, Armani's Harmony, earned multiple championships in the show ring. 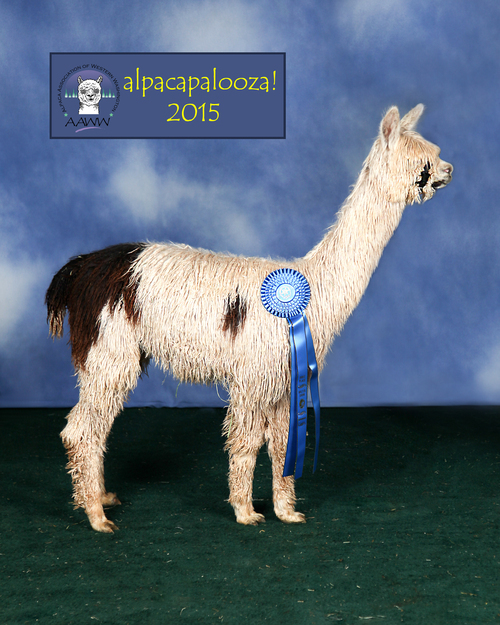 His champion bloodlines include Macgyver, Armani and Inca...stellar lineages. 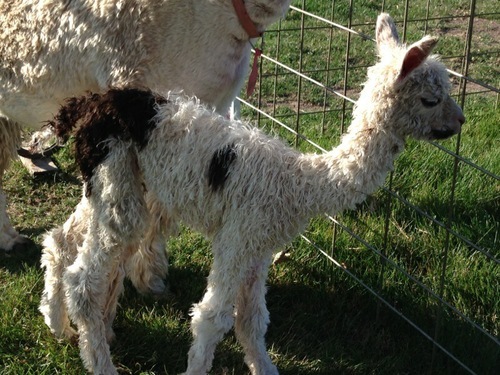 Ebony & Ivory will be an excellent herdsire for color and pattern breeders. Based on his genetics, we would recommend breeding him to color to improve fineness in your females.